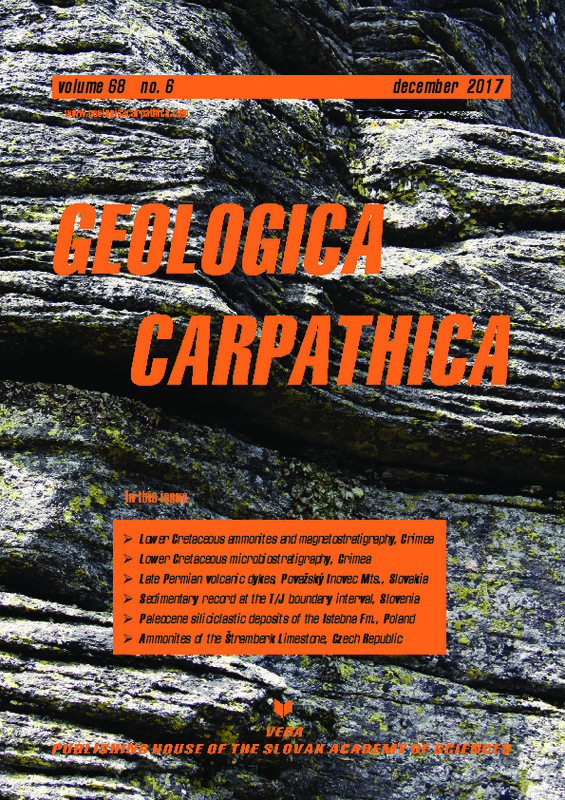 Abstract: The different types of calcareous exotic clasts (fragments of pre-existing rocks), embedded in the Paleocene siliciclastic deposits of the Istebna Formation from the Beskid Mały Mountains (Silesian Unit, Western Outer Carpathians), were studied and differentiated through microfacies-biostratigraphical analysis. Calcareous exotics of the Oxfordian–Kimmeridgian age prevail, representing a type of sedimentation comparable to that one documented for the northern Tethyan margin. The Tithonian exotic clasts (Štramberk-type limestones), which are much less common, were formed on a carbonate platform and related slope. The sedimentary paleotransport directions indicate the Silesian Ridge as a main source area for all exotics, which were emplaced in the depositional setting of the flysch deposits. The exotics constitute a relatively rare local component of some debrites. Proceedings of the sedimentological facies analysis indicate that these mass transport deposits were accumulated en-masse by debris flows in a deep-water depositional system in the form of a slope apron. Exotics prove that clasts of the crystalline basement and, less common, fragments of the sedimentary cover, originated from long-lasting tectonic activity and intense uplift of the source area. Mass transport processes and mass accumulation of significant amounts of the coarse-grained detrital material in the south facial zone of the Silesian Basin during the Early Paleogene was due to reactivation of the Silesian Ridge and its increased denudation. Relative regression and erosion of the emerged older flysch deposits were also forced by this uplift. These processes were connected with the renewed diastrophic activity in the Alpine Tethys.